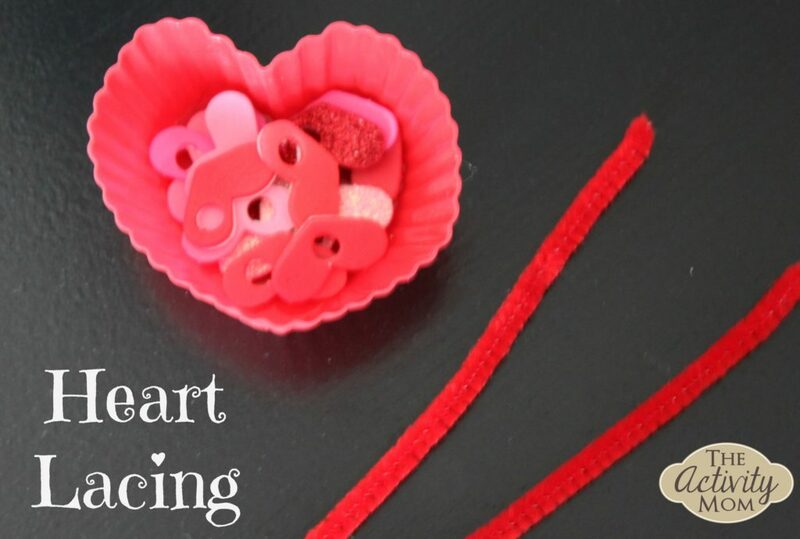 I love this heart lacing activity and the kids did too! 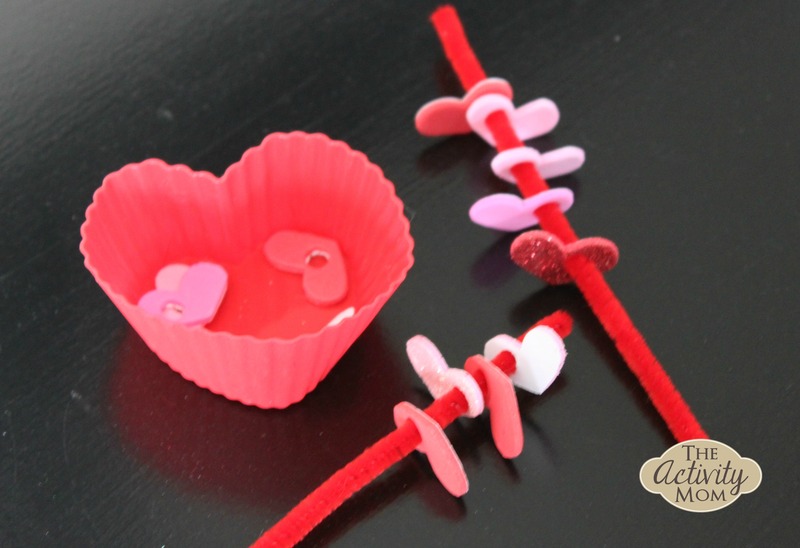 All you need is a handful of foam heart stickers and a couple of pipe cleaners. Punch a hole in each of the foam heart stickers and you are ready. I set them out and it wasn’t long before both kids jumped in to join the fun. 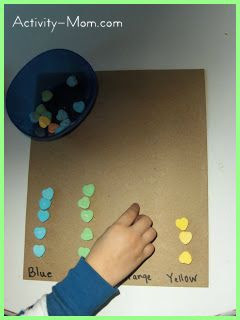 What a great way to work on fine motor skills!